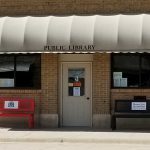 Come see what's new @ your local Library! Judy has been working at the Indianola Public Library for around 40 years. She started working under Charlotte Sahm when Judy’s children were little. 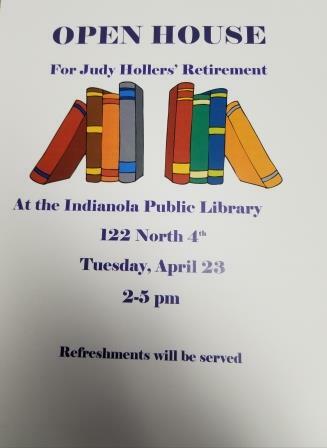 Please join us in celebrating her service to our community. This entry was tagged openhouse, retirement. Bookmark the permalink.